This article from Bloomberg was published in today's copy of BT. Because of the length of the article, we will split it into two parts for easier reading. Shahram Kordestani, who owns seven UKrental homes, has advice for investors eager to join the swelling ranks of landlords: Do so at your peril. Mr Kordestani, who has been renting homes in Londonand south-east Englandfor about 12 years, said when interest rates rise, the jump in mortgage payments will hammer buy-to-let investors who have helped push up property values. "There is going to be mayhem," said Mr Kordestani. "Whoever pays those prices is going to suffer." The loan-to-income cap that Bank of England (BOE) governor Mark Carney introduced last month to cool Britain's housing market does not apply to buy-to-let - the fastest-growing type of mortgage by value. Economists say a hike in the central bank's benchmark interest rate or falling prices could result in a repeat of the past, when repossessions of private-landlord homes hit a record high after the 2008 financial crisis. "It was a mistake not to include buy-to-let investment," said Rob Wood, a former central bank official who is now an economist at Berenberg Bank in London. "It's one way in which households can speculate on house prices rising and that is exactly the sort of dangerous debt built-up that Mark Carney was trying to avoid." 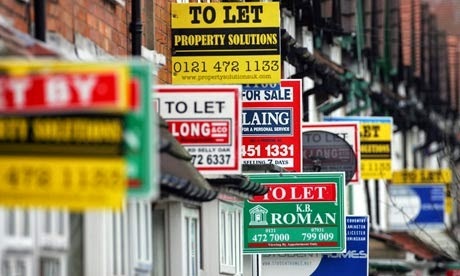 Buy-to-let lending is climbing as Britons rent properties for longer periods. The proportion of amateur landlords - those who supplement their salaries with rental income - reached a record 72% of the buy-to-let industry in the first quarter after rising by 10 percentage points in the two years through March, according to the National Landlords Association. There are 1.7 million residential landlords in the UK, the group said. Lenders provided GBP2.2 billion (S$4.68 million) of private-landlord mortgages in April, a 57% increase from a year earlier, according to the Council for Mortgage Lenders (CML). Almost half of that by volume was refinancing. Gross mortgage lending increased 36% to GBP16.6 billion and loans to first-time buyers gained 47% to GBP3.5 billion in the same period. Homes bought as rentals made up 14% of new mortgages during the second quarter, according to the CML. Lenders offer a record 637 buy-to-let mortgage products, a 37% rise from a year earlier, according to broker Mortgages for Business Ltd. Lenders "who aren't into it want to go into it; those that are there want to expand", Richard Sexton, a director at property appraiser e.surv, said. "It's a different pool to fish in." Financing for residential rentals became easier to obtain starting in the 1990s, when the government allowed more companies to provide mortgages. That fuelled a 19-fold increase in buy-to-let lending in the decade through the end of 2007, during which UKhome values tripled. The market collapsed as the credit crisis spurred a 15% drop in UK property prices in the 18 months through March 2009. New lending to rental property investors rose by 40% in 2011, outpacing new residential lending. Mr Carney last month introduced limits on mortgages worth more than 4.5 times the borrower's annual income and mandated an affordability test in an attempt to slow runaway prices in London. Values in the capital climbed 26% in the three months to June from the year earlier, the biggest annual increase since 1987, according to Nationwide Building Society. UK prices climbed 8.8% during the period, according to Halifax. Mr Kordestani planned to add a seventh property this year in Kingston-upon-Thames, south-west London, only to find that values for properties such as the two-bedroom Victorian cottage he sought had jumped by more than GBP50,000 in six months. Instead, he bought a home in Woking, 25km from Kingston. 1 comment to ''UK buy-to-let investors warned of mayhem (Part 1)"